According to Sergey Shipov, providing live commentary on the London Chess Classic for Crestbook, Hikaru Nakamura was in dire need of a saw to rearrange the chessboard in his first round game against Vishy Anand. Despite the missing item the American still clung on for a very hard fought draw. Sergey Shipov’s commentary in the original Russian (with a board on which to play through all the moves and variations) is here at Crestbook. Hello, dear chess fans and connoisseurs! This is www.crestbook.com expert Grandmaster Sergey Shipov beginning commentary from London, where the now traditional supertournament is taking place. No, no, I haven’t traveled to the English capital myself. Why should I? Everything’s perfectly visible on the internet. My task is to decipher what’s going on at the board and explain it to you, dear friends. Chess is a complex thing. And when supergrandmasters try to trick each other at the board, not everyone’s capable of immediately grasping what’s going on… The line-up of the current tournament is impressive. The trio of Anand, Carlsen and Kramnik are a highlight of modern chess, and it’s extremely difficult to place them in order. They’ve got almost the same ratings, and they can all come out on top against the others in tournaments. I’m sure that trio will include the future tournament winner. 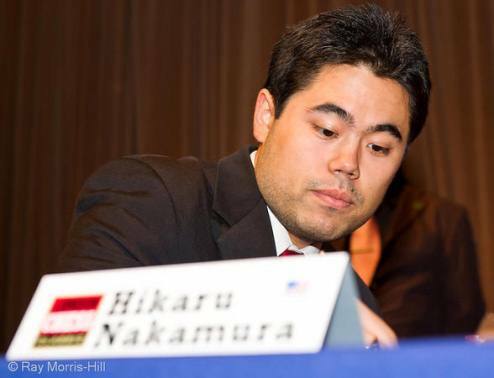 Of course, it’s interesting to see how Nakamura performs – he was able to force people to respect him at the Tal Memorial. From the English I expect only local successes. They’re not capable of fighting on equal terms with such powerful conquerors… [Translator’s note: Sergey went on to mention that it’s possible to vote for which game you want him to comment on at the KasparovChess forum, and to enter a prediction contest – but that’s all in Russian. He also explained how to refresh his commentary…]. So let’s begin. The World Champion is competing with the USA’s best chess player. 1. e4 It’s good to see that not all elite players have migrated away from open positions. There are still fighters on the Earth capable of taking on the Petroff and overcoming the Berlin Wall! 1…e5 2. Nf3 Nc6 3. Bb5 Nf6 By the way, the wall’s in front of you now. A long time ago, at the end of the 19th century, Lasker and Tarrasch, living in Berlin, began to use the line successfully. While the label “Berlin Wall” came along much later, after the real Berlin Wall had fallen and after the Kasparov-Kramnik 2000 match, which also, by the way, took place in London. 4. 0-0 Nxe4 5. d4 Nd6 6. Bxc6 dxc6 7. dxe5 Nf5 Qxd8+ Kxd8 The variation’s tabiya. The exchange of queens protects the black king from mating threats – but it gives White a pawn advantage on the kingside and the initiative. Black also has an ace up his sleeve in the two bishops. Along with great drawing tendencies. 9. Nc3 Bd7 One of the many topical continuations. It first saw the light of day only 15 years ago – which for such an ancient line is very recent. This was just how Kramnik played against Kasparov 10 years ago! The point of the move is that Black wants to hide the king on b7 after Kd8-c8 and b7-b6. 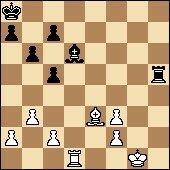 10. h3 White is preparing the g2-g4 advance. 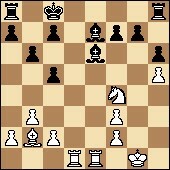 10…h6 While Black doesn’t want to see White guests on g5. 13. Rad1 Of course. The king can’t yet slip away to b7 – it would be a shame to leave the d7-bishop unprotected. 14. Rfe1 And here’s the expected sidestep – onto almost untrodden ground. Actually the move looks very blunt, even formulaic. But in chess everything’s unsteady and deceptive. All the glitters isn’t gold. 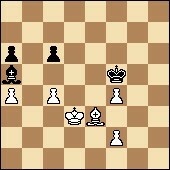 Nor is everything that repels you wrong… So, the rook’s come to the centre, overprotecting the e5-pawn. The knight remains on c3. Apparently in case of c6-c5. Then the weakening of the d5-square might tell. It’s Black’s move. 14…c5 Nevertheless. For now the white knight won’t move to d5 (the exchange of knights clearly isn’t in White’s favour), so it seems that Black has a constructive idea for reorganising with Bd7-c6 and Kc8-b7. If he can manage to bring the queen’s rook into the game then all his problems will have been resolved. 15…Ng6 Where the white knight goes, the black one follows – not allowing his opposing number to f4, after which there would be the unpleasant threat of the e5-e6 break. Again a known manoeuvre. The pawn interrupts the knights’ duel. It threatens h4-h5, after which the white knight will after all manage to get to f4. It’s a critical move, as after 15…Bg4 White will have to sacrifice a pawn. I think that at this point Michael Adams will have started taking a real interest in our game. After all, he was the one to introduce the h3 pawn push in the given position. 16…Be7 A novelty. Hikaru is avoiding the principled lines. And at the same time he’s weakening the g7-point, meaning that White’s within his rights to look at the e5-e6 break. Right now! 17…Bxe6 The white bishop and rook on e1 now have room to operate, and it begins to be all about concrete variations. 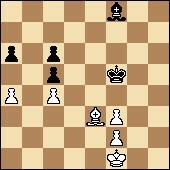 18.h5 Not only knocking the enemy knight off its comfortable perch, but also saving the h4-pawn. 18…Nh4 Here there was no longer any point in modestly retreating the knight to f8. It’s better to reduce the number of pieces on the board. 19. Nf4! Once again, the optimum and most energetic move. Why voluntarily exchange knights, allowing the black bishop to escape the e1-rook’s firing line? Let it suffer. 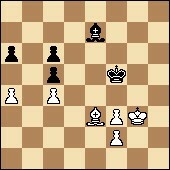 The doubling of pawns on f3 in such a fierce battle is a mere trifle. In front of White is a smorgasbord. A pair of bishops and the g7-pawn. 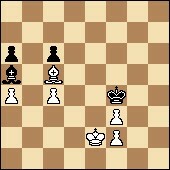 For Black, however, the a8-rook is still out of play. All things considered Black doesn’t appear to have equalised after the opening. 21. Nxe6 fxe6 22. Rxe6 As you can see, the g7 pawn has been left as an appetizer. 22…Rf8 Correct. Only active counterplay can save Black. 23. Bxg7 Rf5! It’s important to destroy the main enemy – the h5-pawn. The position has simplified. White has an extra pawn (a passed pawn at that) and decent winning chances. Black has to immediately centralise his king… or begin counterplay on the queenside with the c5-c4 blow. The times on the clocks are a pleasant surprise: 0.40 – 1.00! The players aren’t prone to doubts and soul-searching. They’re playing quickly and surely, saving themselves, me and all the spectators time! 27…Kb7 I agree, that’s the most stubborn move. 28. c4 An understandable reluctance to have to calculate the consequences of c5-c4 on every move. 28…Kc6 The king is rushing to the centre – let’s say, to e6. And, it seems, it will be in time. It’s going to be extremely tricky for White to break through the blockade on f5. 29. Kg2 You can’t ignore the threat of f3-f4. 29…Rh2+ Correct. 30. 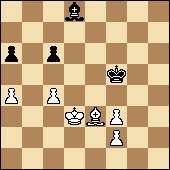 Kf1 The white king is forced away… but not where Black wants it to go. It’ll still get out into the world via e2. The exchange of rooks would not, of course, be in Black’s favour. 31…Rh1+ Sooo… I expressed my personal subjective opinion, neither calculating nor going into details. Live commentary is live commentary! But Nakamura, having thought for almost 20 minutes, came to the opposite conclusion. Well, Black’s defensive idea after the exchange of rooks is extremely simple – creating a fortress. 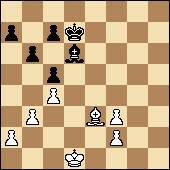 The king stands on f5 and prevents the activation of its white colleague. 33. Bg5 And there’s Anand’s refutation. Is seems as though he’s switching the bishop to g3. White’s dreaming of getting a pawn ending… I’ll note an important nuance: if White had refrained from the c2-c4 advance (see the note to move 28), then the exchange of rooks would definitely have been unfavourable for Black, as then the white king would have had a gap to get to the queenside – via c4. But now… But now Black has real chances of saving the game. 33…Ke6 34. a4 Fixing the queenside. Black has no way of getting through White’s white-square barricade and can’t help but be left with weaknesses. Let’s say, if after the white bishop appears on g3 Black has to completely abandon the h2-b8 diagonal, White will attack Black’s chronic weaknesses with the bishop from b8 and c7. 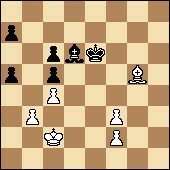 By the way, White must push his king forwards. The only question is where exactly – to e3 or h3. 34…c6 There’s that abandoning the diagonal again. 35. a5 But there’s a surprise! Vishy is striving to push the pawn to a6, so that the bishop coming to b8 will be as effective as possible. And if you take the dangerous pawn on a5, then Black’s structure is in ruins. There’s also the idea of the white king infiltrating the queenside via a4. 36…a4 Seeing ghosts [Translator’s note: lit. “Fear has big eyes”]. Hikaru’s blocking the white king’s path. 38…a6 The fewer pawns on black squares the better. 39. Kd3 There’s no way through on the queenside, so you need to look for zugzwangs and ways around. Imagine that Black just stands still – then the white king makes a long manoeuvre along the h-file and gets to f7. Of course, that’s just a dream… But perhaps it’s also a perfectly reasonable plan of action. Of course, Black shouldn’t allow the white king into his rearguard. But the outpost on f5 also can’t be abandoned! That fork is the basis of any coming zugzwangs. 39…Be7 40. Ke2 Yes! The World Champion is following the path indicated by your commentator. Nakamura now is only dreaming of one thing – a saw! If you could physically saw off the h-file, then White wouldn’t have the slightest chance of winning. But back in reality you have to play across the whole board. And there’s the promised zugzwang. Black really wants to simply jump on the spot and press his clock again. But the rules don’t allow it. 44…Bf6 An important choice. The American has rightly decided that it would be fatal to allow the white king to get any further. 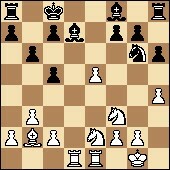 44…Bd6+ 45.Kh4 Be7+ 46.Kh5 Bf8 47.Bd2 Bd6 48.Bc1! 45. Bxc5 Bd8 46. Be3 Be7 The black bishop is no longer tied to the defence of the weak pawn. He’s keeping watch on the white king and isn’t planning on getting distracted. 47. Kg2 Now the king has to come back. The result of the king’s threatened breakthrough was taking a pawn which covered the b4 and d4 squares. Now it’s those squares you have to try and use to break into Black’s camp. From the other side… Maybe Black will be able to erect a solid barrier. Well, just show how! There are always practical chances. 47…Bd8 Standing and waiting – there’s nothing else. The hole in the fence is now only a couple of steps away. 51. Kd4 Personally I can’t yet find a direct win. But Vishy will also be perfectly happy with a “crooked” one i.e. to probe and shake Black’s defences – creating new problems for his opponent, and waiting for a mistake! That’s the general plan. 52. Kd3 The correct approach. You need to do everything little by little. 52…Ba5 53. Ba7 A new try. A second appearance of the white king on d4 is on the cards. 53…Be1 A serious refutation. The black bishop, like an experienced swordsman, is parrying each of its opponent’s thrusts. 54. Bb6 Apparently changing nothing. Black is offered the chance to make a move – at times that’s the most unpleasant of things. Attacking the pawn? I’m not sure that Black is really in a position to take on f3 – the king would get too far away from the centre and White would be able to break through. 55. Be3+ As they used to say back in the countryside – checking for lice. For now White’s not managing to make any progress. Perhaps because it’s impossible. Black is successfully holding things together. And it isn’t proving possible to pose any serious practical problems. 58. Ba7 Kf5 59. Ke3 Be1 If one means of defence is working well there’s no point trying to invent another one. 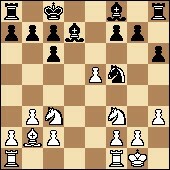 Though now White can switch the bishop to g3 and free the king for greater matters. 60…Bc3 61. Bc7 Everything’s been done sensibly. The next control has passed. Now it’s time to find another way to win. The players have a perfectly adequate supply of time: 0.31 – 0.30. From the 61st move on they also get 30 seconds after each move. Humane conditions! 61…Be1 62. Bd6 Bc3 And there’s a new attack – the d4-square is out of bounds. A desperate measure. Objectively it doesn’t increase the winning chances. But you have to find some means of changing the position! 63…Be1 Now the crazy idea of trying to break through with the king to the once desired h5-square occurs – straight along the third rank. 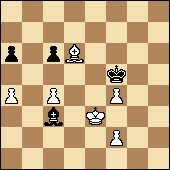 But then the f4-pawn is a concern… After all Black will quickly manage to gather White’s falling leaves. And the pawn ending might not be won… Yes, it was just an illusion. Not to be taken seriously! Particularly given that when the white king gets to g3 the black bishop will come to d8. 64. Be5 For the World Champion it’s simply a pity to part with a position with two extra pawns and agree to a draw. Painful. But there’s no way of winning. It’s sad, but a fact. 64…Ba5 Check on b6 is waiting for the white king. It’s time for us to wrap up – both the game and the commentary. 69…Be1 70. 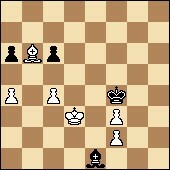 Be3 Ba5 The white king has been freed from having to defend the f4-pawn. But what good will it do? There’s still no way of it breaking through. 71. Kd4 Bb6+ What can be done here? If you put the pawn on c5, then too many white pawns will be on black squares. There’s definitely no way of getting through via a5. However, White’s risking nothing. He can try what he likes. A neat triangulation. Useless, but pretty. 73…Bc7 74. Kd4 DRAW! Nakamura dealt with a difficult task brilliantly. Ending up in quite an unpleasant ending right out of the opening, he defended flawlessly. Perhaps Anand could have won, but it was a matter of the most subtle of nuances, which are extremely hard to find at the board. Well, it was a tough battle between worthy opponents. The sensation of the first day was the defeat of Carlsen by McShane. The mature English grandmaster is now on the up. He recently won a strong round-robin tournament – and now he’s dazzling in front of his home crowd… Working for you, dear friends, has been Sergey Shipov. I’ll be waiting for you tomorrow in the same place… no, but not at the same time! Instead two hours later, at 19:00 Moscow time (16:00 London time) – such are the quirks of the tournament schedule. In general, see you tomorrow! How can you play against Feller?